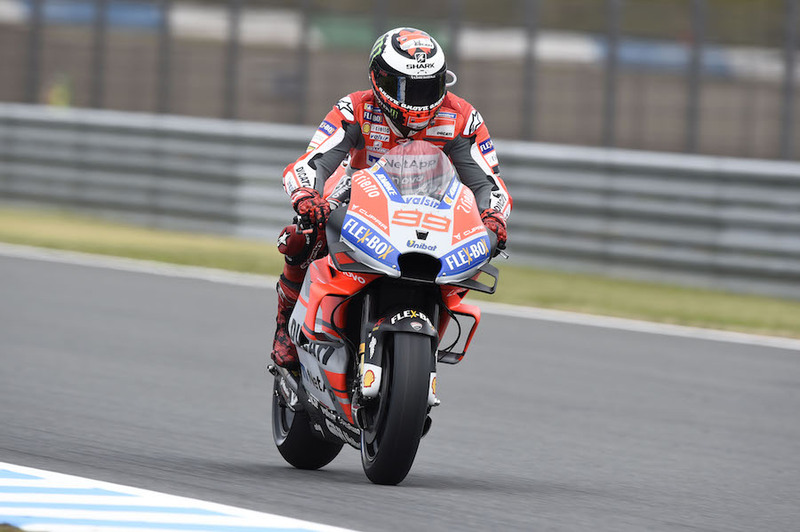 Jorge Lorenzo is out of the Japanese GP and his participation in next weekend’s Australian round is in doubt, ruled out when the left arm injury sustained a fortnight ago at the Thai round proved more troublesome than expected. 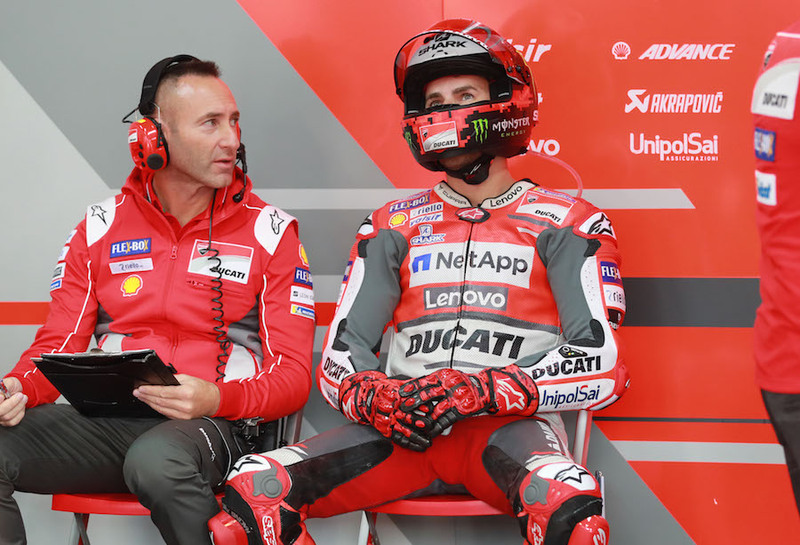 The former triple MotoGP champion, already riding with right foot injuries, was thrown from the factory Ducati after a mechanical failure, and was out of that race with what were then diagnosed as a small fracture in his left-arm radius bone, at the wrist end. It had appeared to be healing well, and he stayed out in South East Asia to recuperate. But when his training regime was boosted after flying to Japan the level of pain increased, prompting a fresh medical scan from a different angle. 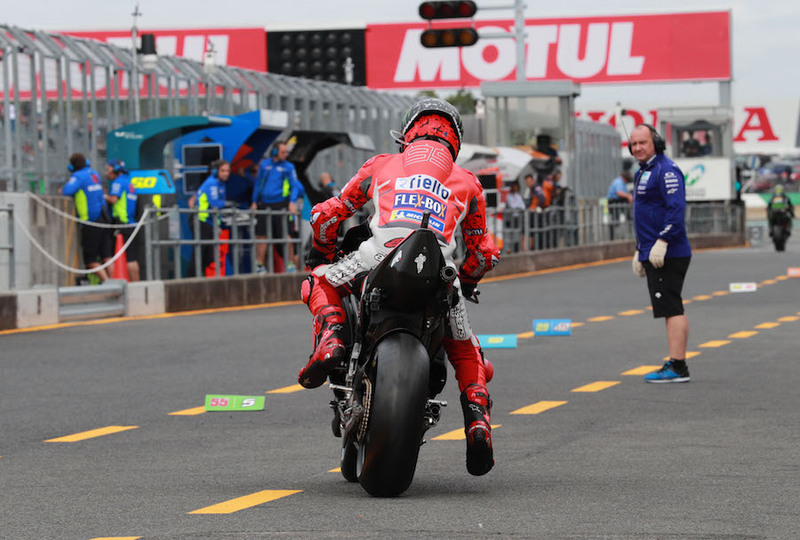 He needed only one out lap and one in lap to realise that riding would be impossible, and without even setting a time he decided to pull out of the GP; and this was confirmed by the team shortly afterwards. This setback to his last races for Ducati puts a stop to his strengthening challenge for third overall in the World Championship. Ironically, had the severity of the injury been discovered directly, he could have undergone immediate remedial surgery and probably been fit enough to challenge for victory at Motegi.